As I looked around, it was really hard to stay focused on my goal of concentrating on restaurant week offerings. 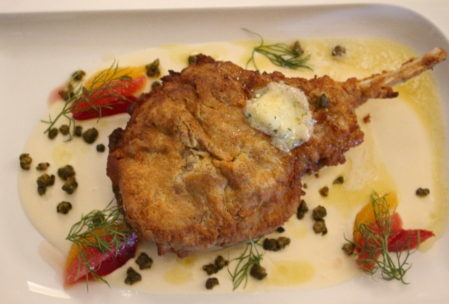 (In case you missed my last post, click here for a list of the participating restaurants and menus.) 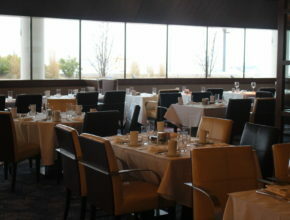 The entire room was just so pretty and if the food matched the atmosphere, I was in for a great time. 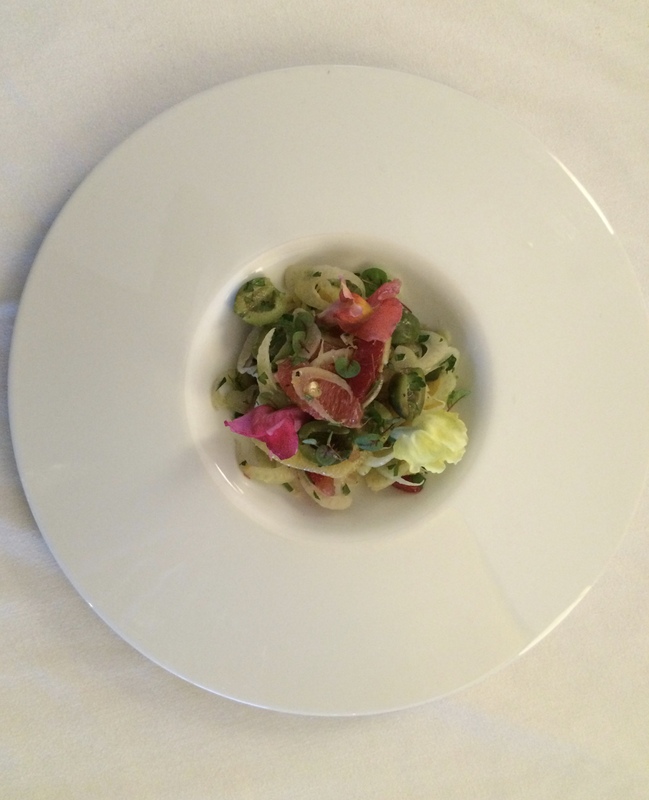 As silly as this may sound for a steakhouse, Sam & Harry’s rocks a great salad. I tried the January special Citrus Fennel Salad-Citrus segments, shaved fennel, olives, mint and meyer lemon vinaigrette. 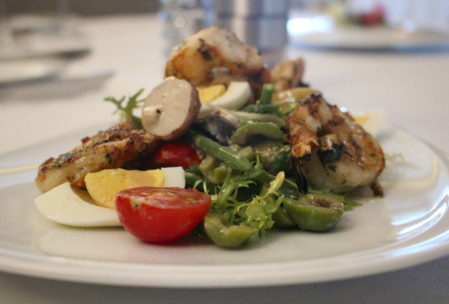 The restaurant week lunch (course 2) option of a Grilled Shrimp Nicoise Salad –roasted fingerling potatoes, preserved mighty vine tomatoes, green beans, soft cooked egg, olives, and anchovy vinaigrette. 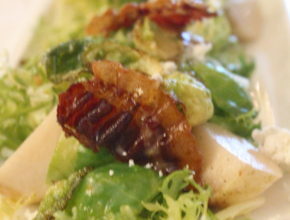 The Winter Salad (available at dinner course 1 during restaurant week)-Brussels leaves, frisee, crispy pancetta, pickled turnip, ricotta salata, lemon apple vinaigrette. Those pickled turnips were ADDICTIVE!!! They were all outstanding. To me there are a lot of great signs of a great chef and one of them is taking a salad and making your mouth taste everything from sour to sweet to bitter to salty. 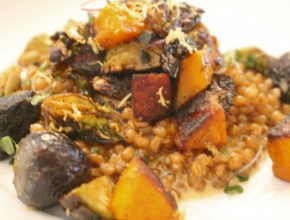 Plus there was textural excitement with the variety of components added to each salad. Every bite on the plate had a purpose. 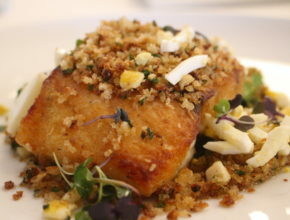 Don’t worry if you aren’t a fish person, there is also a Root Vegetable and Pork Cassoulet or Braised Waygu Short Rib offered as part of the special dinner menu. 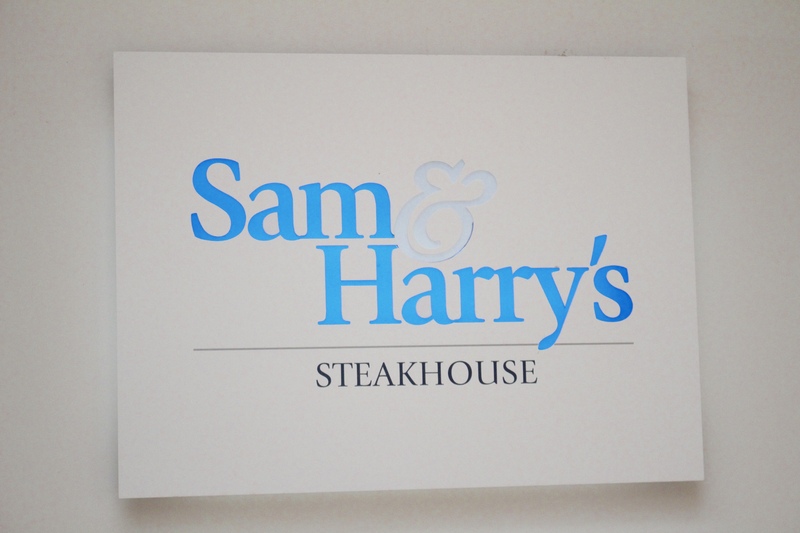 Finally, you can’t leave Sam & Harry’s without dessert. 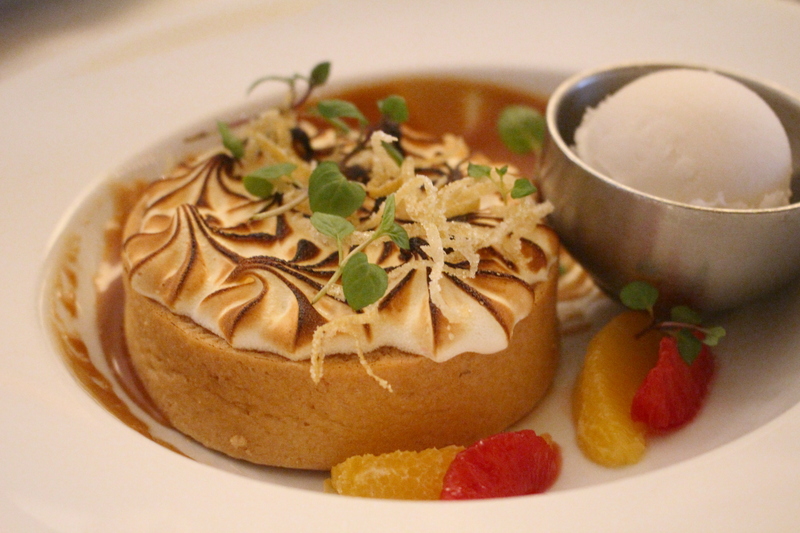 For Chicago Northwest Restaurant week they are offering a Chocolate caramel tart, smoke salted pistachios, blood orange with both lunch and dinner. And so I don’t forget to tell you, the restaurant is open to the public so if you live in the area or here for a convention, it would be a great option for breakfast, lunch or dinner. 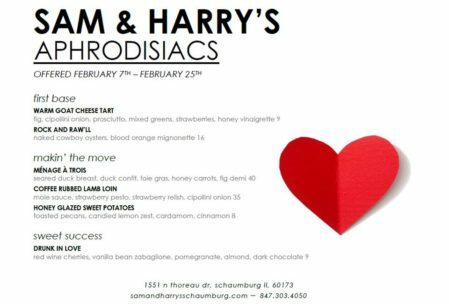 Sam & Harry’s menu (and any of the restaurant week menus) may change without notice to Meet Chicago Northwest or Felt Like a Foodie. Tax and gratuity are not included. 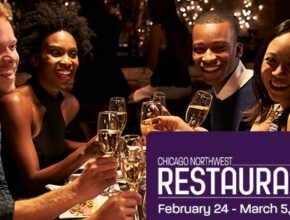 The adventure continues on Wednesday when I find another new favorite for Chicago Northwest Restaurant Week at Morton’s The Steakhouse! 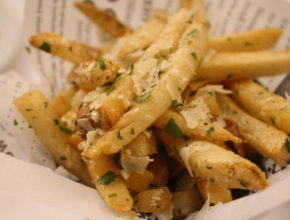 PS I confess…I also ate some citrus garlic fries…I’m not a huge fry eater but I couldn’t stop snacking on these babies!